FEATURE — Right about now you may be thinking to yourself that it’s too cold to go for a bike ride. Well, “too cold” is relative to the temperature you’re used to being in, and as we’ve seen many times living in Southern Utah, the weather changes quite frequently. Even in January you come across some fabulous days to ride, so your New Year’s resolution to ride more doesn’t need to be put off until spring – nor should it be, since spring leads to summer’s heat and another reason to put off riding. Have you been snuggled in a blanket by the fire for so long you’re not sure if you’ll be able to handle a ride out there in the cold? Well there is an answer to getting your “feet wet” without diving all the way into riding when it’s cold – a bad metaphor I know, as it’s bad to have wet feet when you’re outside in the winter, but you get the gist. Out-and-back trails are a great way to see how things will go for you. The term “out and back” is pretty self-explanatory. It’s a ride where you leave and return on the same trail. Why are they so good for winter riding? If you aren’t sure how warm it’ll be (the sun is out but the temps are low) or you don’t know how well your legs will work after all that slothfulness in front of the fire, the out-and-back affords you the chance to bail out when your tootsies get chilled. Unlike loop type trails that have a “point of no return” at the halfway mile marker (meaning you have to press on no matter how frosted you feel) out-and-backs can be cut short if you’ve read the weather completely wrong and the snow starts falling or if you haven’t dialed in your clothing or your turkey-stuffed-gut just isn’t feeling it that day. Turn around, enjoy the ride back to the trailhead and give it a shot another day. Popular out-and-backs in our area include trails out of the Navajo Drive trailhead, including Stucki Springs and the Bear Claw climb up to Green Valley, Sidewinder at the Barrel Roll trailhead and Church Rocks/Prospector. These trails have the added benefit of climbing on the way out, which helps build up body heat inside those breathable layers you’re wearing. You may find you need to shed a layer fairly quickly when you start with a climb because you’re (gasp) hot. Not to worry though, those layers will be your best friend if the weather worsens or if you do a long downhill section where the wind chill plays a big role. Winter in Southern Utah isn’t a time to hang up the bike and hide in the house. In fact, some of our best riding happens now due to the damp “hero dirt” that makes cornering so very fun. Just respect the trails. If they’re muddy, leave them for another day. Now get out and ride our great trails! If I don’t see you on the way out, perhaps I’ll see you on the way back. 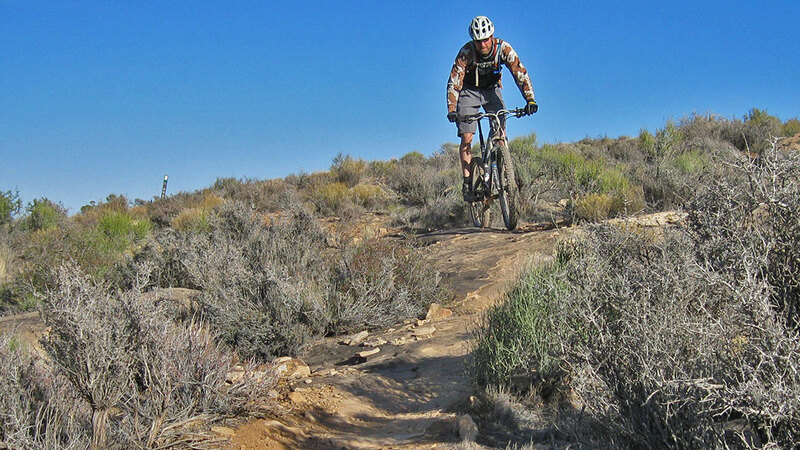 Written by JAY BARTLETT of Bicycles Unlimited for St. George News. This article was first published in St. George Health & Wellness magazine. 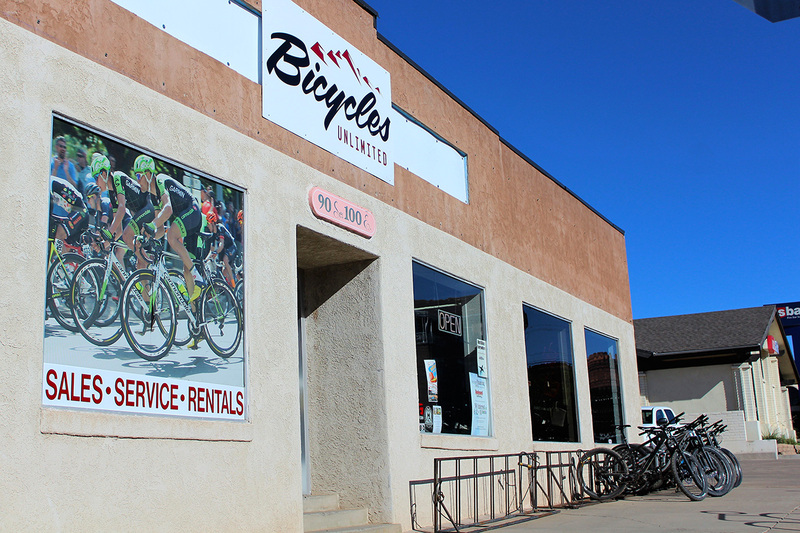 Bicycles Unlimited has been Southern Utah’s bicycle leader since 1984, offering service, sales and rentals.